Have you always wanted to lose weight but are to self-conscience to go to a gym, then you found the right article. This information in this article will show you how to lose weight at home, by just walking more. It is not that I hate exercising, although it is not my favorite pastime in the world, it is more a matter of not wanting to go to my local gym. I get very self-conscience when I go to gym among all those buffed up six packed trimmed Arnold Schwarzenegger wannabes. I am not even that much out of shape (Yes I keep telling myself that), how much more self-conscience are people who are very overweight or obese. I actually stay in shape by exercising from home, and so can you, and walking can be a good way to do it. If you are very out of shape, walking can be a good starting point to gradually get yourself in a good fitness program. If you are overweight, you know that being overweight is one of the many causes of snoring, it is therefore very important to start finding a way to lose some of that weight, and what better way than to do something you do every day; walking. A gym is not always the best for everyone, and neither are some of the exercises you do in a gym. It is for that reason why many people sought the option of exercising from home. You can easily buy equipment and apparatus that you can also use at home, so exercising from home is a real possibility. This article is not intended to blast gyms as an evil or as a place to be hated. Gyms are a good place to get in shape for many people, but if you are very overweight or obese, it can also be an intimidating place. The point I am trying to get across is that it is that intimidation factor and in many instances shyness factor, that keep some people away from gyms; and out of shape. How do you feel about gyms in general? Exercising among experienced exercisers who all seem to know what they are doing, while you are still getting confused between the difference of a barbell and a dumbbell, can be daunting. Even if you know what you are doing, if you sit next to someone that easily curls 100 pounds (45Kg) while you are over the moon that you finally managed to curl 40 pounds (18Kg); can really break your spirit. If you are very overweight or obese it can be very difficult to use any of the equipment in a gym effectively. Benches were not designed with bigger sized people in mind, as they are way too narrow to be used comfortably. The seats of the strength machines are also made too small and bigger people cannot easily fit on them. Swimming is a very effective exercise, but if you are overweight or obese it can be very intimidating to wear you’re bathing costume at your local gym. So, unfortunately there are at present not a lot of equipment designed that overweight or obese people can use comfortably at a gym, but hopefully that will soon change. There are some great exercises to lose weight, but the problem is many of the exercises are not suitable for bigger sized people. The extra weight that obese and overweight people tend to have around the midsection, make some exercises impossible or uncomfortable. As I mentioned above, most exercise machines are too small and cannot be used by all people, so the amount of strength exercises that can be done are reduced. This is not to say that if you are overweight or obese you should just give up on exercise because, “there is nothing you can do about it”. No, it just means finding other exercises that you can do, like getting some shoes on and going for a walk. Exercise and of course following a healthy diet is the way to go if you are serious about losing body fat. Related reading: Best fat burning foods. Above all, be committed to lose weight by following a set program per week. Set yourself weight loss goals per week, and strive to achieve it. Considering all the above; a good starting point can be a good walking routine. Can you lose weight from walking? Walking is probably the easiest form of exercise that you can get, but often the most overlooked. It is however very effective for overweight and obese people as it can burn a lot of calories per session. Walking improves strength and mobility in the lower half of your body, and can be as strenuous as you want it to be. It is also a low impact aerobic type exercise which is very good for your heart. You can start slow and walk only for a few minutes per day, and gradually raise the pace and minutes to be at the required 30 minute level. It should however be your goal from the start to get to and then follow a 30 minute walking session per day, at least 4 times a week. There are many benefits to starting and following an exercise routine which involves 30 minutes of walking. You also don’t need a big financial investment to begin walking, perhaps only a good pair of shoes, a water bottle and some minor accessories. A pedometer will also be handy as it counts the steps you take, which will help you set and strive for goals. There are many places you can go for a walk, which includes walking outdoors and indoors. Outdoors can include walking around your block, in your local park, or a sports field, and probably many other choices depending on where you live. These days you have to take precautions for your own safety; don’t walk alone or somewhere secluded, and stay alert. Remember to allow for a warm up period of five minutes when you start walking and a cool down period also of the same minutes at the end of your walk. So, start at a slow pace and then walk at a faster pace, and then end at the same starting slow pace. If you begin and then follow this routine regularly, and follow a healthy diet, you can soon start seeing results. You can then also add some other exercises to your routine, such as strength training, which are also very important. Doctor Doctor where are you? If you are not active at present, do yourself a favor and get a checkup from your Doctor before you start any exercise program and before you actively start a walking program. You should never take chances with your health. If you are on any medication or have any health conditions, you should also see a Doctor before starting any exercise program. Remember when you exercise, your heart has to work harder the more overweight you are. Therefore you have to get regular checkups while you follow any exercise routine, especially if you are overweight, you don’t want to take chances with your health. If you are serious about curing your snoring, you should also be serious about curing all the possible causes of your snoring. If you are overweight or obese, losing some of that weight should be high on your priority list. 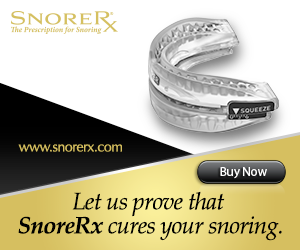 It will not only be good for your snoring but there is also other health advantages to losing weight. Exercise CAN be for everyone no matter who you are, and what circumstances you are in. Many people prefer not to go to gym, because they are self-conscience of their body. Today I dealt with the issue of overweight and obese people not wanting to go to gym, and explained that there are options available and how walking is one of those options. You can get some exercise by following a walking program on a daily basis. There are many other exercises you can also do from home, which I will deal with in future articles. Are you getting enough exercise? Is there something you have tried that is actually helping you? Please share your thoughts below. The subject of how to lose weight at home is quite broad, and walking is just one of the methods. Put on some shoes and go for a walk and you will discover the benefits of walking, if you follow a proper schedule. Please leave any comments below, or send me an email if you wish, I would love to hear from you.